More and more people are now requesting white fillings instead of the traditional silver amalgam type. In fact there are literally thousands of white fillings placed for dental patients across all parts of the world every single day. But did you know that white fillings were developed right here in Manchester when a team under Professor Wilson at Manchester Dental School came up with the concept in 1972? It has to be said though that back then, over forty years ago, those early white fillings were nowhere near as substantial or successful as the ones we use at Carisbrook Dental today. Those original white fillings, even though they looked far better and more natural than the dark amalgam fillings, simply did not last very long before they had to be replaced. These days the white fillings we use are made to a sophisticated formula that ensures exceptional appearance with extremely long-lasting qualities. If you go to our Cosmetic Dentistry page and follow the link to white fillings you will be able to read all about them, but here is a quick checklist of the most important pros and cons. Easier to place – they require less preparation than conventional amalgam fillings. They fit cavities better by moulding closely into the contours of the tooth. They look good, look natural and don’t show up when you smile or laugh. 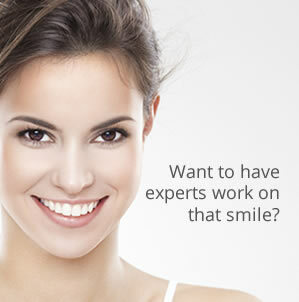 We can tone the fillings to match the colour and translucency of your teeth. They can be repaired and unlike amalgam don’t have to be replaced if damaged. You do not have ‘metal in your mouth’. They take longer to place. They cost more than standard amalgam fillings. They are only suitable for small or medium size cavities and are unsuitable for large cavities.